Magnum 6KL Managed Edge Switches provide configurability in an entry level industrial-grade package. 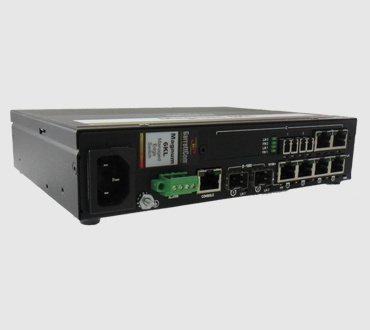 The high performance 6KL base unit comes with four 10/100 copper ports (which may be either regular or PoE). Up to four 100Mb fiber ports or up to four more 10/100 copper ports or combinations, may also be configured. In addition, one or two Gb ports may be configured as 10/100/1000 copper or SFP fiber in any 6KL base unit. 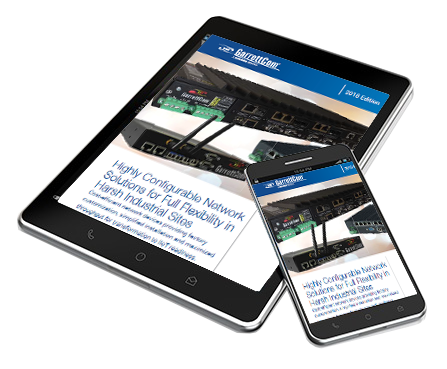 Magnum 6KLs are ideal for building a switched, hardened Ethernet network infrastructure, connecting edge devices such as PLCs and IEDs with upstream switches or routers. Designed for use in industrial applications such as factory floors and control cabinets, industrial video surveillance systems with PoE, power utility substations, tariffed carrier field facilities, or transportation and oil and gas, the rugged Magnum 6KL handles stressful workloads (a mix of data traffic bursts and priority) as well as harsh environmental conditions. Robust and Compact - Full-featured Edge Switch in a small, heavy-duty, package with DIN-Rail or panel mounting options. Highly Configurable - The high performance 6KL base unit comes with 4 10/100 copper ports (either regular or PoE). Up to 4 100 Mb fiber ports or up to four more 10/100 copper ports, or combinations, may also be configured. Two Gb ports may be configured as SFP ports or as 10/100/1000 copper ports. PoE PoE+ Capability - Options available with 802.3af PoE and 802.3at PoE+. Hardened - The 6KL's sealed metal case serves as a heat sink, enabling the 6KL to operate in the harshest industrial grade environments and achieves high EMI noise immunity. Available with Conformal Coating options and is rated IP52 for dust and water resistance.